If you are a Facebook user, you know how bad the default Facebook app is. It’s as if you’re using the site in a browser. Facebook, of course, is not something a lot of people can do away with. Some of us need Facebook everyday, whether it is to stay in touch with our buddies or reconnect with someone in high school. Facebook has become an indispensable part of our lives. 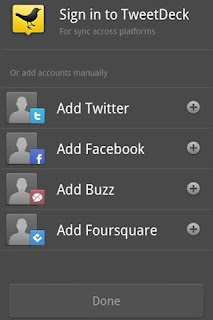 Seesmic is one of the best apps for managing your social networks. With support for Facebook and Twitter, the free app lets you update all your networks at once. The app comes with full Facebook integration, including support for managing Pages. While posting you can automatically shorten URLs, add shortcuts to home screen, and more. Overall, Seesmic is a great app for social media junkies and people who use Twitter and FB together. Tweetdeck though a Twitter app, also comes with support for Facebook. You can view, update, and manage your Timeline and then sync with your Tweetdeck account. Though not that popular for Facebook, it does serve as a great all-in-one tool if you’re a social media junkie. 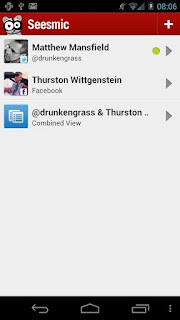 Friendcaster is one of the best third-party Facebook apps for Android. With a neatly designed interface, the freemium app allows you to post status updates, photos, events, messages and more right from your smartphone. You get the whole FB news feed right on your phone packed in a smooth, clutter-free interface. You can comment on a friend’s status update, like a post, or write out an update of your own. For those looking for eye-candy, there are 5 pretty themes to choose from. What’s more, the app’s design is inspired by Ice Cream Sandwich’s HOLO themes. If you’re tired with the sluggishness of all the Facebook apps out there, Fast is a great choice for you. The free app lets you comment, share, and like your friends’ statuses without any major lags or delays. The interface is beautifully designed and works like a charm even on slower devices and older operating systems (pre-ICS). Definitely worth a try if you have a slow phone or even a slow network. Rated 3.9 out of 5 stars, Fast is freely available for download from the Google Play Store. 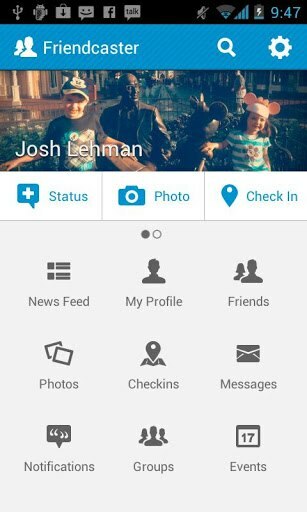 Flipster is a great new third-party app for Facebook. With 12 elegantly designed themes that are reminiscent of ICS’s design, Flipster supports swipe-based touch navigation for moving between your timelines. You can post status updates, check out friends’ galleries, get private messages, RSVP to events and almost all the things you’d do using the web version of the service. 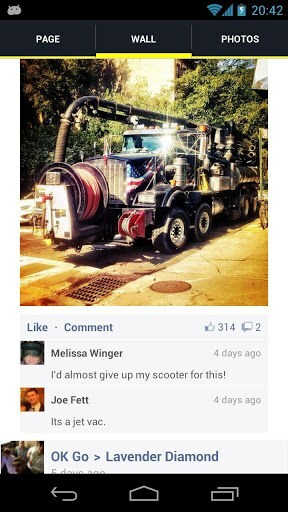 Though new and not that stable, Flipster is a great alternative to the not so pretty looking official Facebook app. This app is worth a try if you’re not a fan of the original app. 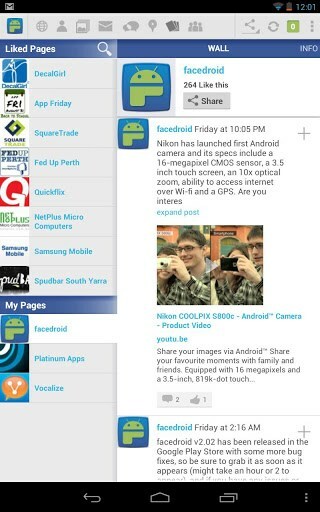 Facedroid is a Facebook app specially designed for tablets. Once installed, you can view your FB stream, share your photos and status updates, like other people’s statuses and pretty much everything you can do on the web version of the site. 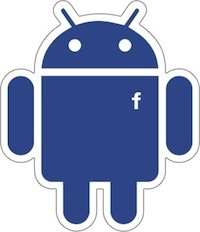 The app features real time chat that allows you to connect to your FB friends instantly. Also, you can access and administer your Facebook pages with ease. Again, like the aforementioned Friendcaster app, this one too is inspired by Ice Cream Sandwich’s user interface. Though the app is not free, it does serve as a great third-party FB app for tablet users. Which one do you suggest ?